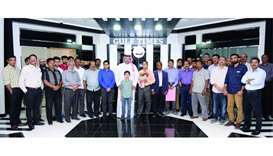 Joffrey Francisco Pinto is leaving Qatar after putting in 36 years of service with the Gulf Times newspaper. Romelu Lukaku bagged his first goal in a Manchester United shirt on Monday as the 10-man Premier League giants laboured to a 2-1 victory over Real Salt Lake in Utah. 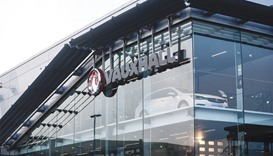 European car sales fell the most in four years in April as the shift of Easter from March reduced buyers’ time for shopping, while registrations in the UK were further sapped by tax changes. 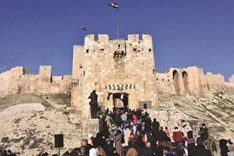 Russia’s military said yesterday it has begun scaling down its deployment to Syria, as the regime intensified its bombardment of a rebel-held district home to the capital’s main water source. 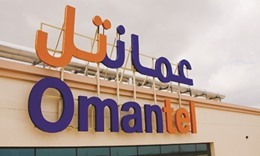 Oman’s telecommunications companies will pay a royalty to the government of 12% of revenues in 2017, the country’s Capital Market Authority said in a bourse statement on Thursday, citing a letter from the Telecommunication Regulatory Authority. 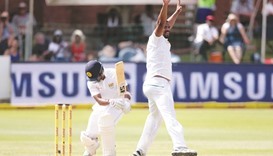 Dhananjaya de Silva kept Sri Lanka’s hopes alive with a defiant innings on the second day of the first Test against South Africa at St George’s Park yesterday. 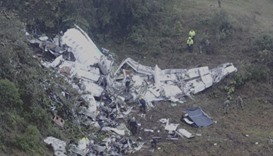 Bolivian authorities have jailed the second suspect accused of wrongdoing in the air crash that wiped out Brazil's Chapacoense soccer team last month, prosecutors said on Saturday. 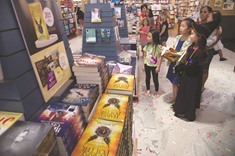 Harry Potter magic hit Asia yesterday, as aspiring witches and wizards crowded into bookstores to get their hands on the first copies of a new play that imagines the hero as an adult. 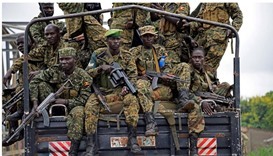 A heavily-armed Ugandan military convoy crossed into South Sudan on Thursday to evacuate citizens trapped in the capital Juba as fears persist that days of fierce fighting might reignite despite a ceasefire. 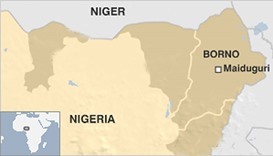 More than 60 people were killed by a twin suicide bomb attack at a camp in northern Nigeria for people displaced by an insurgency of the Boko Haram group, a military and emergency official said on Wednesday. The sound of squealing tyres is something that Qatar is only too familiar with and now there is a school where you can learn to drift — with the aim of taking racing off the streets. 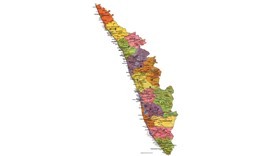 Around 25.6mn voters are eligible to cast their ballot in the upcoming assembly elections in Kerala, the Election Commission announced yesterday.